Verbatim transcript of a chat session with Naval. I was having internet connectivity problems. Naval says (s)he resolved them, and then did the standard upsell trick, in which (s)he lied. Then when I noticed the problems weren't resolved, (s)he lied again. Lie #1: " you will get additional service at a cheaper cost." The rep correctly showed my current service is 50m down and basic cable TV for $82 / mo. He said Comcast had an offer where I could get "additional service at a cheaper cost." The "cheaper cost" is $101.99 for first 12 months and then $126.99 from 13-24 months. Lie #2: "Every thing is totally fine"
Lie #3 (probably): "You will also check this problem on our site also"
The "server upgradation" and service degradation is not listed. Naval: Roger,I have also checked your account and found that we have a great offer for you where you will get additional service at a cheaper cost. Naval: However, I have a good deal for you, In this package you will get 140+ Cable Channels and 105 mbps Internet Speed & Unlimited Nationwide Talk and Text. Roger_: "additional service at a cheaper cost." = what is the cost? Naval: This package will cost you only $101.99 for first 12 months, after that it will cost you $126.99 from 13-24 months. Roger_: how is that cheaper than $82? Naval: In this you will get double speed and 14 times channel and unlimited text and talk. Roger_: you said additional services at a cheaper cost. Roger_: then you listed additional services at a higher cost. Naval: We are so confident in our products and services that we would want you to try them - risk free. If you’re not satisfied and wish to cancel the services for any reason, you can do so in the first 30 days and get your money back. 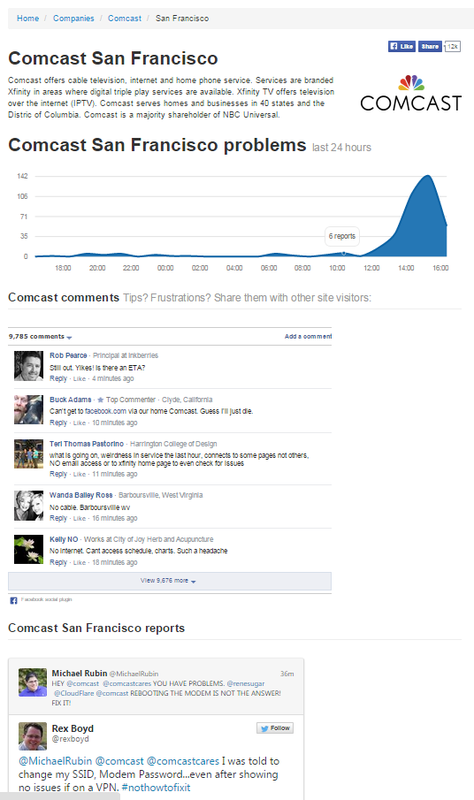 Roger_: this is one of the reasons people hate Comcast so much. Naval: Okay. I appreciate your decision. Roger_: you just lied to me. Naval: Your satisfaction is my priority. Is there anything else I can assist you with? I am more than glad to help you out further. Roger_: I am satisfied with the tech support, but I am not satisfied with being lied to. Naval: It was a pleasure assisting and chatting with you today! Have a great day and thank you for choosing Comcast. 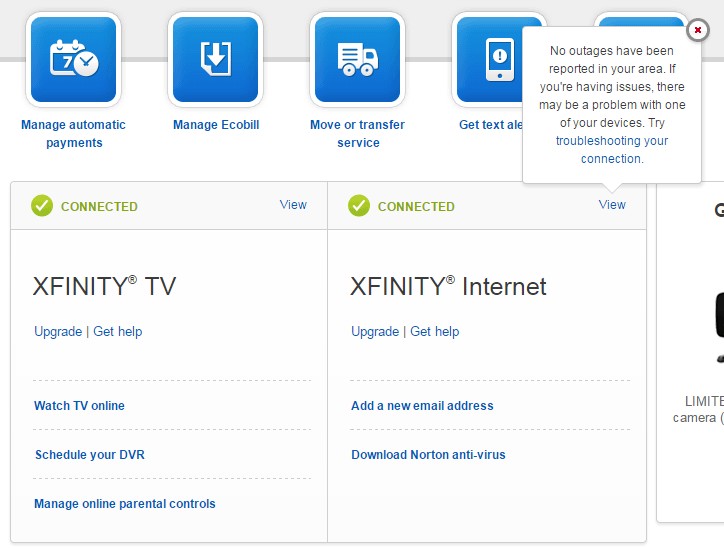 If you have any further questions, please do not hesitate to give us a call at 1-877-870-4310 or visit us at www.comcast.net for technical support. We appreciate your business! Naval: I am glad to have assisted and get your concern fully resolved for today! Naval: You have opened a window for Comcast Support and I don't want to miss an opportunity to support you. Are we still connected? Naval: Roger, Is there anything else I can assist you with? Roger_: lots of services are hanging, etc. Naval: Let me check that out for you. Would you mind waiting for a couple of minutes while I do the research? Naval: Roger, As I can check from here your account is totally fine and you are getting good services. Roger_: "starting in 5900 seconds"
Naval: Please allow me a minute . Naval: Roger, you are facing this issue because our system is upgrading. Naval: Every thing is totally fine. Naval: You will get the right speed once the upgradation procedure is finished. Roger_: you're saying my entire set of problems is because you're upgrading something? Naval: It is due to our server upgradation. Roger_: what kind of server? I'd like to know more about this. Roger_: please don't tell me no worries. I work on the internet. That's how I make a living. I have deliverables. If my internet is not working, I cannot work. This is a big deal. Naval: Roger, You will also check this problem on our site also. Roger_: I checked before this chat and it said there were no issues. Roger_: where is the status shown? Naval: I am doing advanced trouble shooting steps from here. Naval: Please tell me the result. Naval: Roger, Please provide me your reliable phone number. Naval: I am raising ticket for you. Naval: Our senior technical team will call you on the number given by you. Jose: May I know the issue that our rep lied to you? Roger: "This package will cost you only $101.99 for first 12 months, after that it will cost you $126.99 from 13-24 months." Roger: $101.99 is not actually cheaper than $91.96. Jose: yes that is correct. Its simple math. Jose: On internet issue they can be corrected by our Internet dept. Jose: We are cable troubleshooting dept so all of our tools here are for cable TV. Jose: On broken promises those usually happens on Sales dept.Jose: Here on cable troubleshhoting we dont lie.